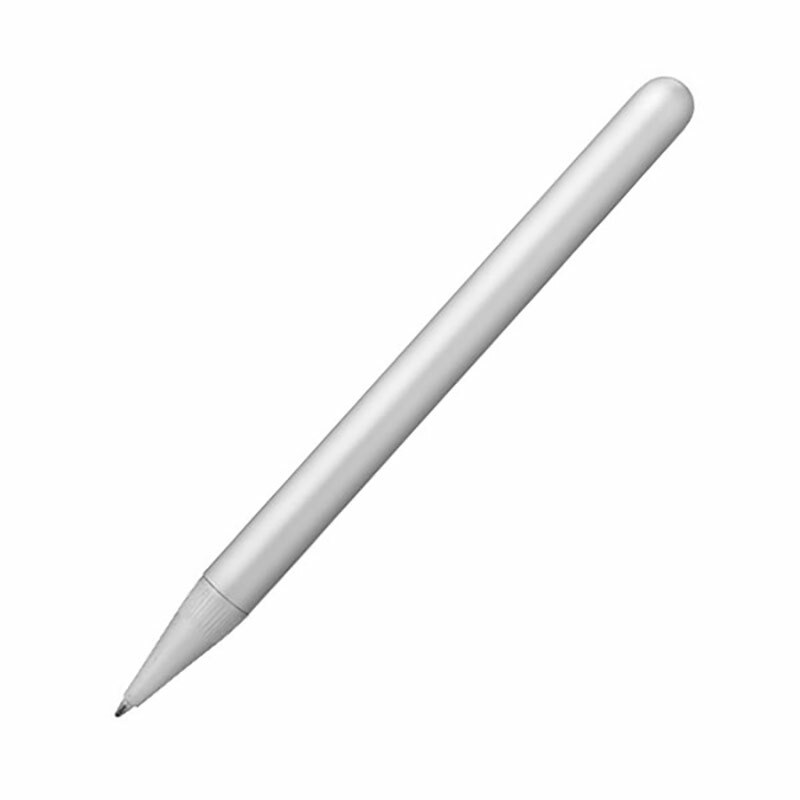 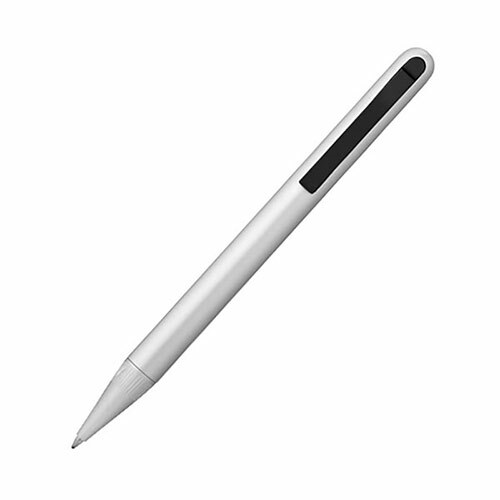 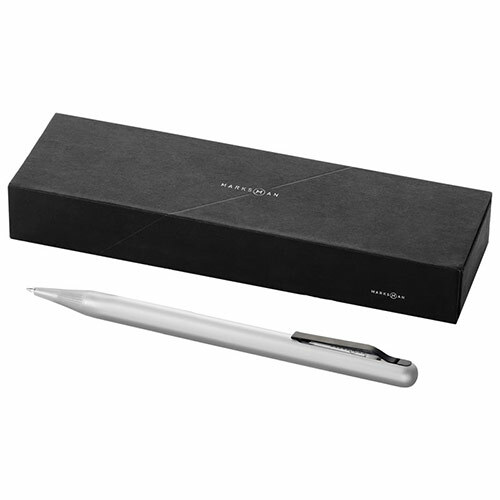 Luxury ballpoint pen in smooth silver colour finish with contrasting black clip. 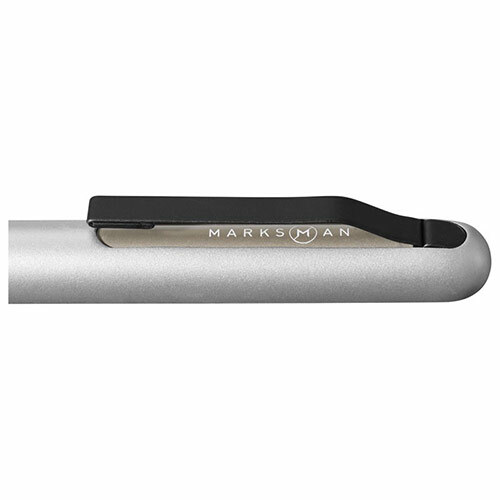 These black ink pens have a twist action mechanism and are supplied in a black Marskman branded gift box. 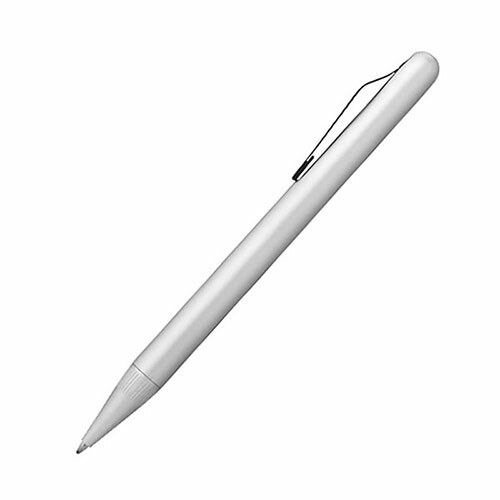 They can be branded or personalised via laser engraving into the cap of the pen.